SENSEI MARK GETTINGS: Began martial arts formally in 1986, and is experienced in Shotokan, Shito Ryu, Goju Ryu, and Wado Kai Karate with a rank of Sandan in Wado Kai. 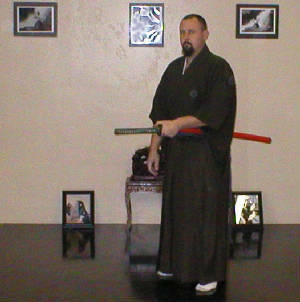 He has been an instructor since 1992, and began swordsmanship in the same year. 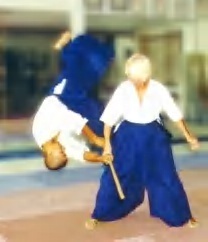 He holds the ranks of Nidan in Mizo Hi Kibukai, Sandan in Batto Do Ryu Seiken, and Shin Shin Sekiquichi Ryu; and is recognized with equivalent ranks by the Kodenkan of Tucson. 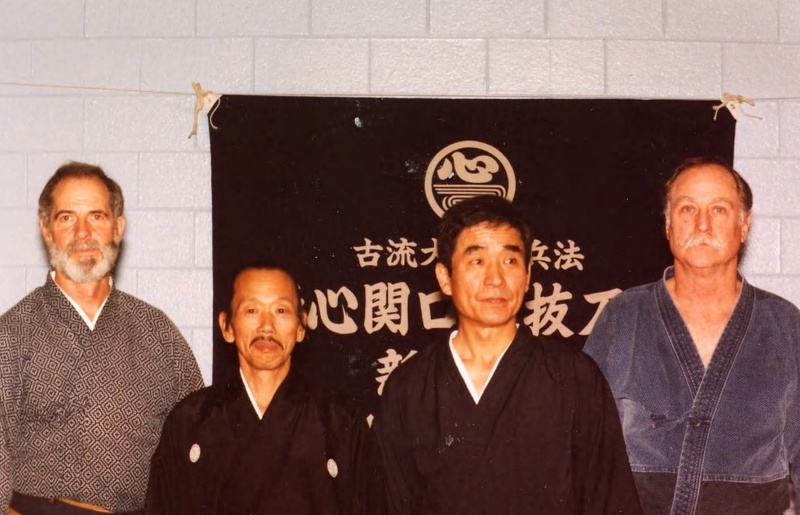 Sensei Gettings holds a teaching liscence in Batto Do Ryu Seiken, and is Shihan of the Mizu Hi Kobukai, a national martial arts study group headed by Kaicho Carl McClafferty, with members in numerous states. By day, Sensei Mark is a mild-mannered geophysist for the US Geological Survey. SIFU JEFFREY ZAUDERER: Jeff brought Wm. CC Chen Yang style to Tucson in the '70's, and received his diploma from Master Chen in the early '80's. He is one of Master Chen's senior students, and offers classes accreditable to Master Chen's program. Since then, Sifu Jeff has worked with many who have now opened their own schools in Arizona, and around the US. As well as beginning students, Jeff works with advanced practioners, and students of other martial arts who are interested in extra relaxation and meditative training, as well as learning the tai chi techniques. He also works with seniors and challenged people to develop their chi, and gives workshops for various groups. Sifu Jeff teaches in affiliation with Master Wm CC Chen. SENSEI JUDITH ROBINSON is a student of Hans Goto Sensei, who was an uchi deshi at Iwama, Japan, training under Morihiro Saito Shihan, 9th dan. She also trains with Saotome Shihan, Witt Sensei, Doran Sensei, Stevens Sensei, and Ikeda Sensei. Her martial arts training began 18 years ago and includes karate, wing chun, and tai chi. She holds a rank of 5th dan, and has a 1st dan rank in karate. SENSEI DAN KEUPP is a direct student of Sensei McClafferty, the American Renmei cho, and Yamada Yoshitaka, the 11th Soke of Sekiguchi Ryu. 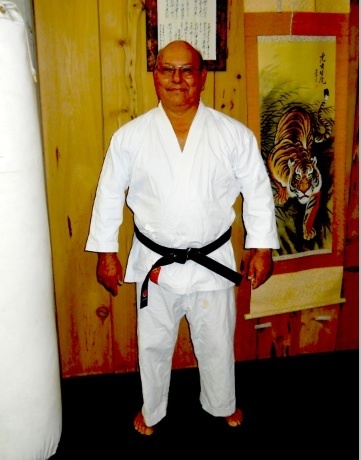 Sensei Keupp is a Chuden Menkyo in Sekiguchi Ryu and has consistently been a top Tai Kai competitor: he has been studying martial arts since 1983. Sensei Keupp's dojo is the host for our association.